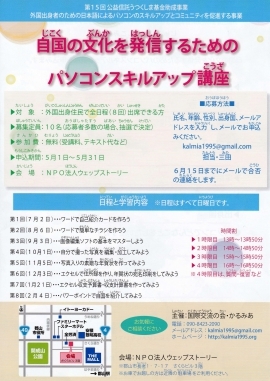 Koriyama City will be holding a computer “skill-up” class for foreign residents. Please check the flyer and apply by e-mail. The class will be held in Japanese, therefore if you cannot understand the flyer, you will not be able to follow along with the class.